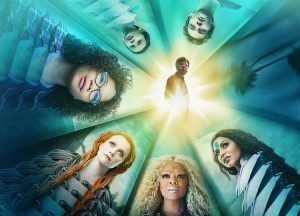 The new film directed by Ava DuVernay is based on the classic novel, A Wrinkle in Time by Madeleine L’Engle. It is the first book in The Time Quintet, and has been mentioned on the podcast by Claire and Kyle several times before. The novel not only had an impact on our hosts, but the entire fantasy and science fiction genre. Kyle begins by giving a layman’s version of the far out math behind the film and book’s mentally-willed space travel. Claire describes the life of Madeleine L’Engle and the pieces that fell into place for DuVernay to become the film’s director. Our hosts conclude with their thoughts on the film, and the story of how each of their mothers first discovered the book.